Sonic has his first game of 2018 and it’s not what you’d expect. Introducing Sega Slots. A new game for iOS and Android. It’s a gambling simulator slot machine game. One of many kinds you can find on mobile devices. In Sega Slots you start with Sonic Slots only and level your way up to Shinobi, Golden Axe, Super Monkey Ball and more. 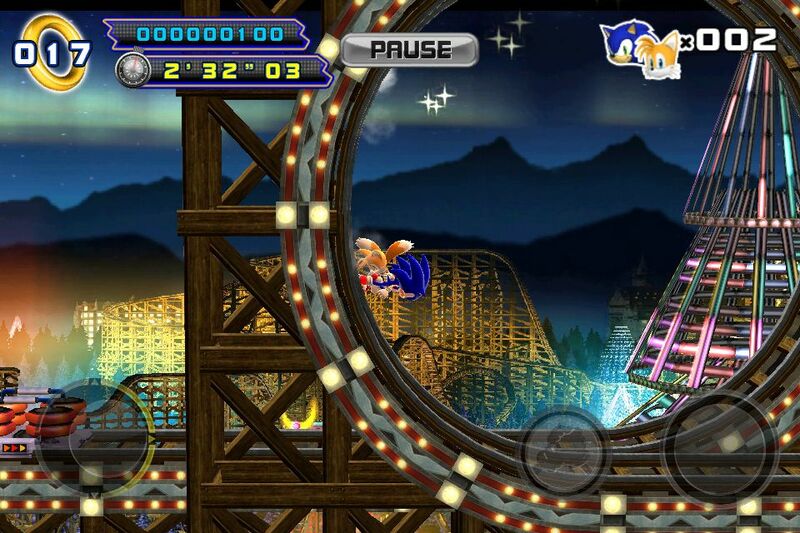 The top level game at 101 is Classic Sonic in Casino Night Zone (makes sense). 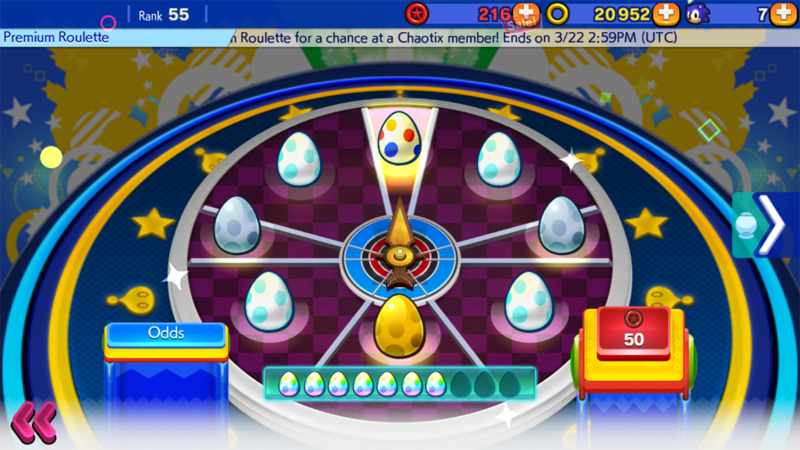 It includes mini games as well as the regular slot machine games. 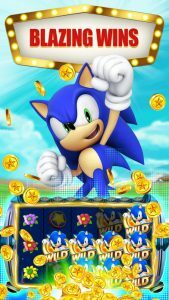 Sega Slots is available on iTunes and Google Play for your Apple and Android devices now if you feel like taking a gamble and trying it out. 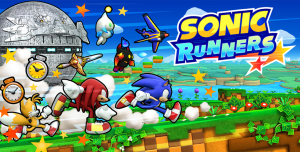 After months of waiting, Sonic Runners Adventure is finally coming to Apple and Google’s official mobile storefronts. 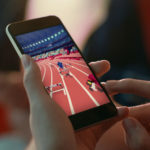 While Android users have been able to buy the game for the past several months through Gameloft and some other websites, the game’s arrival on the App Store will mark the first time iOS users will be able to play the game. While the announcement trailer doesn’t have a firm date, the game will likely arrive on both storefronts within the next few days. 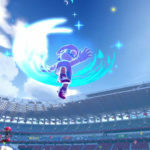 Could the US Sonic Runners Servers Be Shut Down Tomorrow? Looks like NA users will be affected by the Sonic Runners shutdown earlier than we though, as SEGA announced on Twitter that the game’s regional servers will shut down on Monday May 30… before deleting any mention of it. 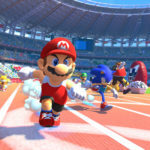 Continue reading Could the US Sonic Runners Servers Be Shut Down Tomorrow? It’s the end of Sonic Runners! In rather surprising news given the publisher’s exploration into the mobile space, SEGA has announced that the endless runner will be shutting down, only a year after it launched worldwide. Well that’s an interesting development. This update numbered Version 2.1.3 is live in US, Canada, and EU. SEGAbits also mentioned that the game still doesn’t lock-on with Episode 1 to unlock Episode Metal. How does the game fare now on iOS after the update? Let us know in the comments! And she points out in the same post that this is not so unusual and may simply come back on Monday. We’ll see what happens. Also I forgot to mention that Komodin first brought that part up. Thanks again go to both for the clarification. 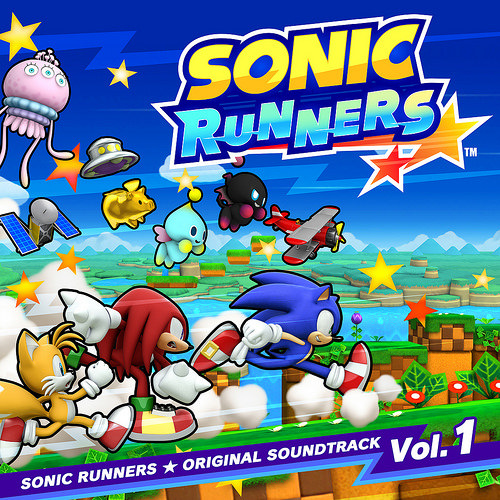 It has come to our attention that Sonic Runners has been removed from the US iTunes store. This was first brought up on our forum by Operationgamer17. Our own writer VEDJ-F afterward mentions that it’s still up on the UK Google Play store, and another member Soni mentions it’s still up on the Canadian iTunes store. Another member Ming Ming Yuigahama also linked to and confirmed that the game, while indeed gone from the US iTunes store (the link now redirects you to the iTunes store if you have it installed saying it’s not available), is still available on the iTunes store in the UK, Canada, and Japan. 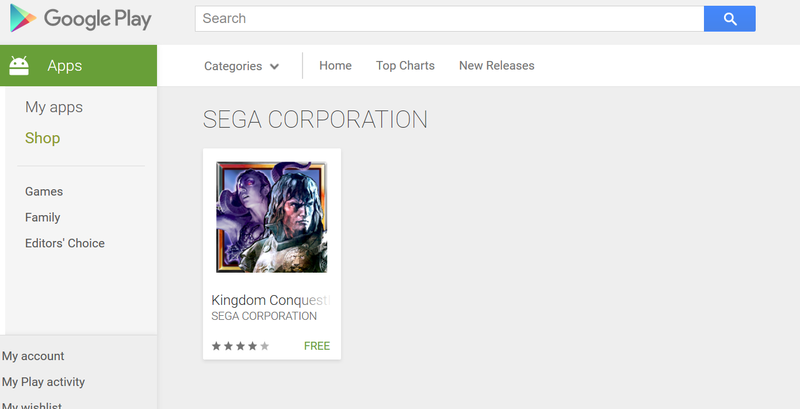 Ming Ming Yuighama also shows that the game is still up in the US Google Play store under “SEGA Corporation”. So far we have no idea what the reason is for the game’s removal from the US iTunes store. We’ll have a follow-up report if we hear more. Thanks goes to all the users mentioned above for their help in checking the stores to see if the game is still available in their respective regions. 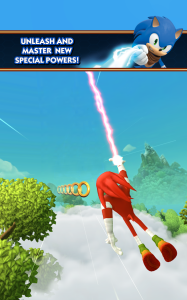 Well, Sega certainly seems to like to surprise us out of left field with Sonic Boom games don’t they? 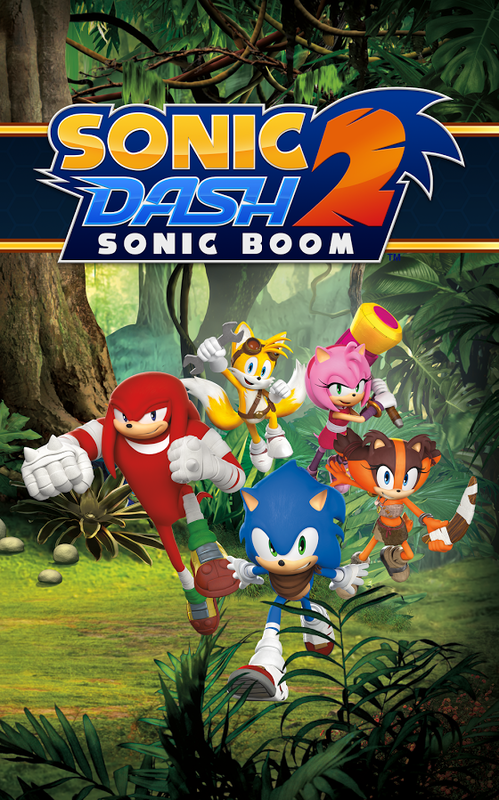 Found late last night on the Google Play store, Sonic Dash 2: Sonic Boom is a sequel to the popular Sonic Dash mobile game. 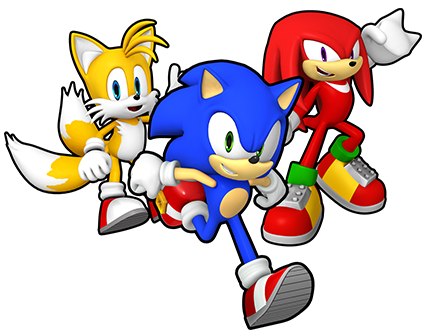 Only now, you’ll be playing as the characters from the Sonic Boom franchise. It’s not just running and jumping either. You”ll also be using the Enerbeam (with added tilt controls) and slide on rails among other things. Characters from the show also make an appearance in the back ground. Here’s some more details from the store page. 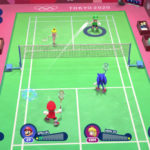 – EARN special prizes in new Events and Daily SEGA Challenges. No links have worked so far and it seems like it could either be a soft launch starting in Canada again, or the game simply isn’t quite available yet. What do you guys think? 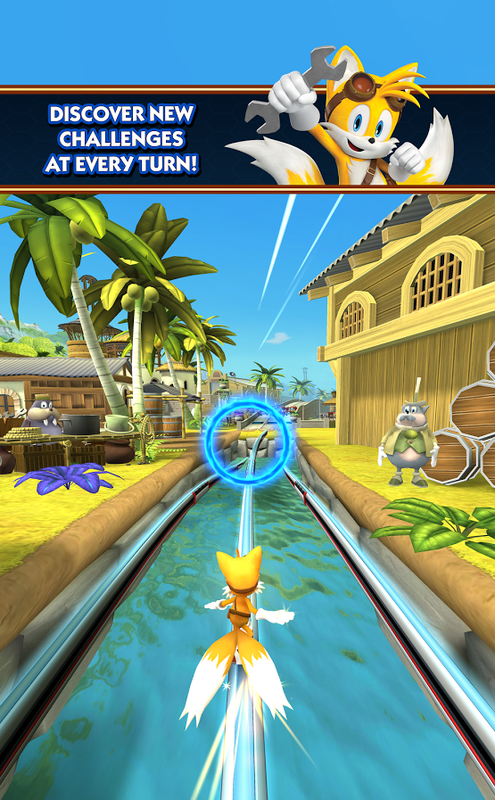 Are you excited for a new spin on Sonic Dash or does the thought of yet another Boom game repulse you? Let us know in the comments section. Personally, I’m cool with this. I think Sonic Boom works better for mobile than for console. 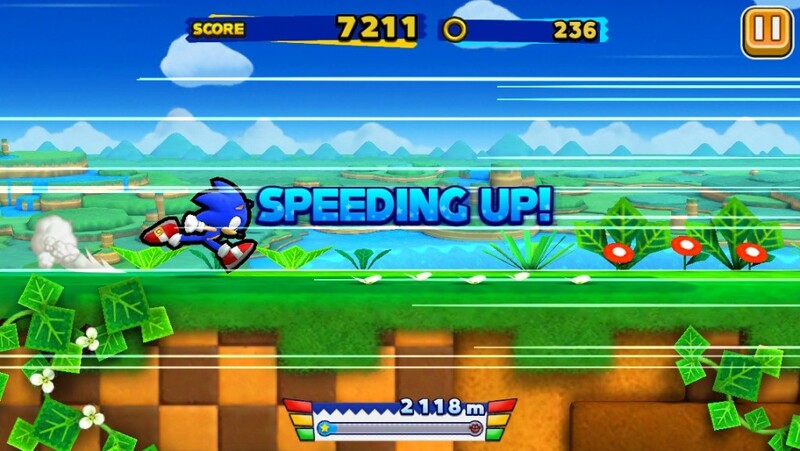 Sonic Runners recently launched worldwide for those who’ve been out of the loop – it’s an endless free to play running game where you aim to get the highest scores possible. Higher scores push you up the Runners League and get you better rewards, companions, and bragging rights among your peers. So you want to be a Runners expert? Say no more. Here’s our tips and tricks on how you can bag those big scores. Free! Free! Free! But for how long? First off, before you even start your run – let’s go over some important stuff. Booster items are pretty great for helping your score. Primarily the Score Boost and Character Switch. Score Boost is an obvious choice and will really aid your total, and Character Switch will give you a second chance to keep your run going by switching to your sub character selected through the character menu. And for a limited time(?) you’ll be able to use these for free once a day, so take advantage! This is pretty much the only place where rings come in handy. 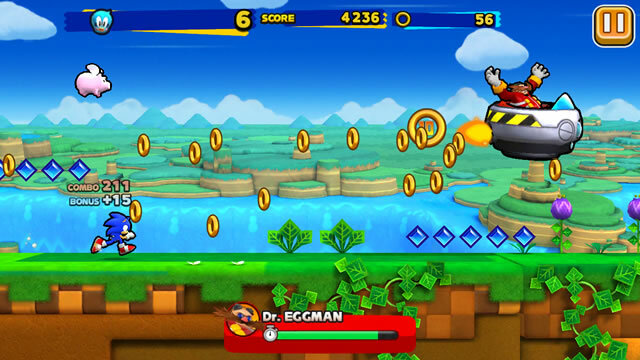 Sonic Runners sports a level up system on the characters you use, applied through spending rings or earning EXP on runs. It’s important to keep at least a single character high up to make sure that your overall bonuses help you hit the high marks. 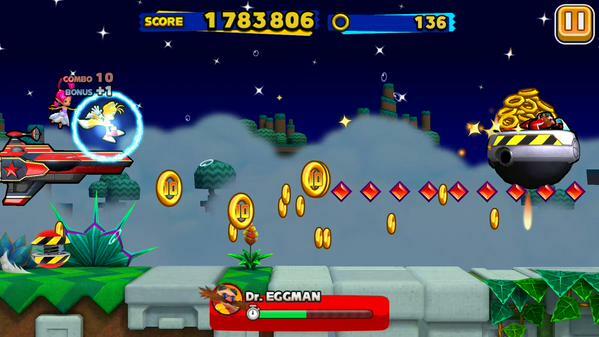 Wisps and power-ups will last longer when you use them too as an added bonus to it all. But your Score Bonus, Animal Bonus and Ring Bonus are what you want to increase – this is why I normally opt to just focus on one character at a time. Sonic easily adapts to most level environments which is why my primary focus is on him. Wait, so where does Sonic keep his rings? Though it can get pretty repetitive, it’s best to make your confrontations with Eggman last as long as the timer will allow. Not only do you have the possibility of seeing Red Rings pop out of him, but the rings he’ll drop will boost your score with the help of your Ring Bonus quite a bit. This can be used in turn to help level up your characters and increase your overall boosts. 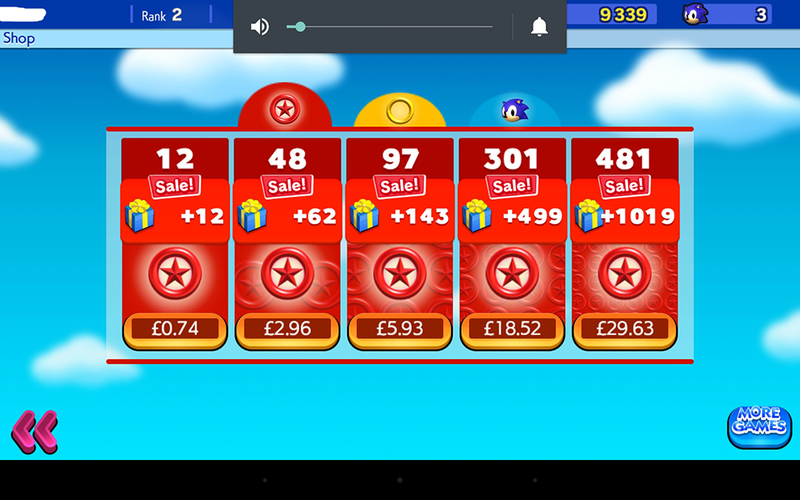 Not to mention, you can get quite a few score gems which increase in value the further you are into the run. What, you thought you couldn’t be stylish on these? Something the game neglects to tell you is that Runners sports a small trick system within similar vein to that seen in Sonic Colours. When you approach these red spring-esque contraptions, make sure you tap the screen to leap high into the air – but don’t stop tapping once you’re flying high! Repeatedly tap the screen to do up to five trick poses, giving you that familiar “good, great, awesome, outstanding, amazing!” response! Like always, defeating the classic badniks throughout the stage will earn you points and release the little critters inside. But unlike the old games, they’ll bounce around on screen until you manage to catch them. You might want to try reaching out for them before they vanish off screen if you can. They’re worth quite a few points, and those points only increase with the Animal Bonus you level up. It can be difficult to maintain, but do your best! An extremely important aspect of any run is the combo and bonus number you can see above. Combos are maintained through collecting score gems, rings, and animals (not badniks! ), and once you get over 1000 you’ll have the maximum bonus of +50. This will go a long way once you reach higher scores. Combos can be broken through damage or too much time between collecting combo items listed above. Power ups can help you out – the shield will prevent damage from ending your combo, and Combo Bonus will prevent damage and time from doing so. This is probably one of the best score increasing sections of the game. 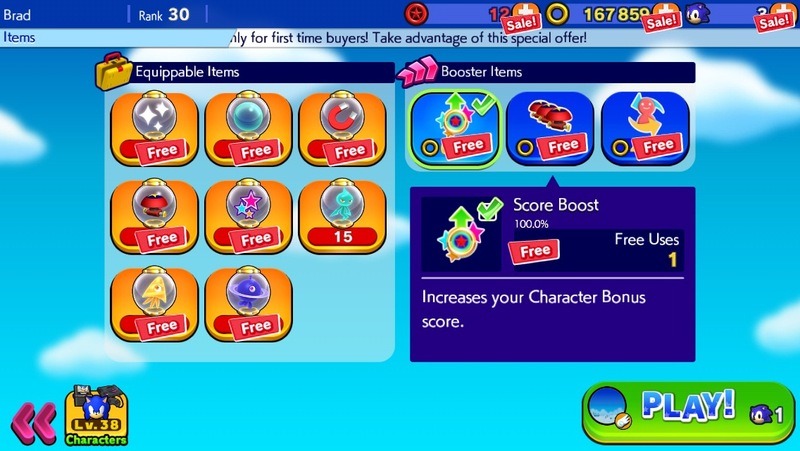 Wisps return in Sonic Runners, and they’re mostly a fantastic help to boosting your scores. Asteroid is arguably the weakest as it moves slow and provides no multiplier to your bonus, but in can tear through all obstacles in your path. Laser lets you blast through sections of the stage at lightning speeds and collect every gem, ring, and animal on screen by tapping. Drill could arguably be the greatest score increaser, as it multiplies your bonus massively. 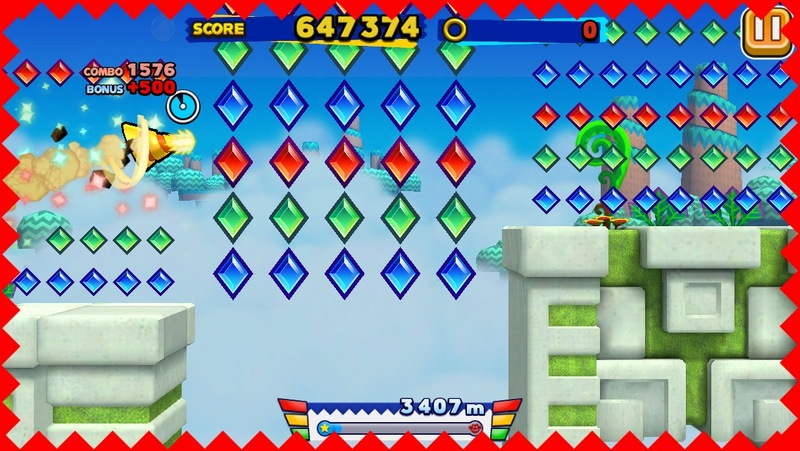 At its max, you can gain +500 – combine this with magnet, and the specific Drill designed sections which can appear in levels (seen above), and you’re looking at a gigantic overall score boost. Unfortunately, this is the only way to get them. Companions could be your life saver when it comes to runs. They can provide anything from boosting the overall length items last, granting you a wisp when you reach a certain combo number, or giving you the last boost at the end of the level. They can level up to increase the effectiveness of their abilities too – sadly, the only way you’ll be able to earn them is through the premium roulette wheel. To spin, you’ll need Red Rings you earn through placing on the Runners League, completing story events, or other promotions. You’ll earn Shahra every time you advance a rank in the Runners’ League. Each rank has three levels before you advance a letter, but she’s completely free and provides a great ability – granting you a random item when you hit certain combo numbers. 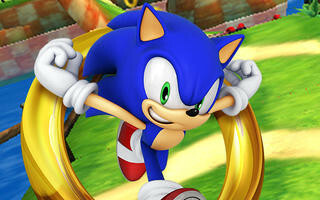 Look out for promotions held by Sonic Team where you’ll be able to earn Buddies through normal gameplay. For example, the Sonic Birthday event has you collecting cake to unlock the Genesis buddy and various other power ups and items. 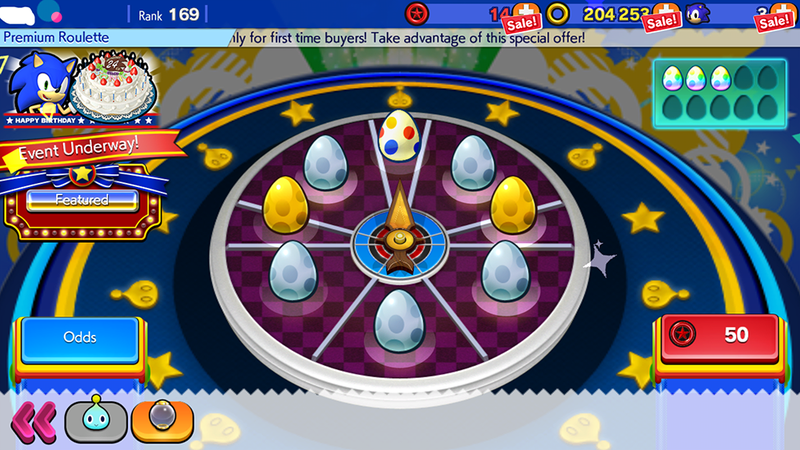 Finally, completing a Showdown without taking dying once will give you a Special Egg – collect ten of these, and you’ll be able to spin the premium roulette wheel for free with increased odds on better eggs. Sonic can’t fly, but he can jump three times. Which is almost as good. 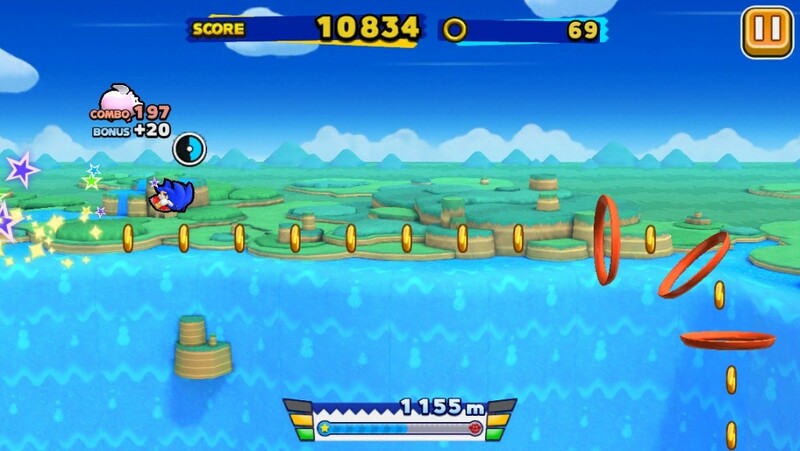 Classic Sonic games usually sport a level design which has both a high and low path – the higher path providing better goodies but harder to stay on, and the lower being easier to stay on but less rewarding. 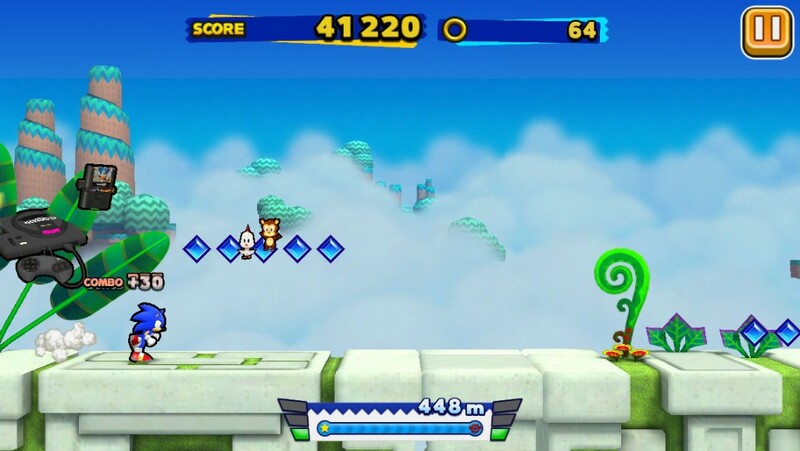 That concept carries into Sonic Runners, since all the best rewards are usually found by keeping on the higher paths. Though the obstacles you face are more dire and will test your ability, you’ll get much better results if you manage to keep on that upper road. Prepare to see this a lot. A certain element of Runners will always come down to memorisation, and the only way you’ll memorise these zone layouts is to keep playing. Knowing what’s coming will instantly put you in a better position to prepare yourself and make each run go further – you’ll soon come to recognise familiar placements of the slopes, hoops, enemies and score gem trails. It might be difficult to play for long sessions due to its design, but playing a few times daily will go a long way. It’s all a learning curve and soon you’ll be able to do Top Speed without breaking a sweat, trust me. Have you got any helpful advice for your fellow Runners players? Or did you find some hand advice in our little guide? Sound off below and let us know. Happy running! UPDATE: Following the publication of this article, the following happened. A YouTube Video was posted showing a possible workaround for the instant crash bug. Looks like it was related to the always online DRM. UPDATE 2: Sega has published a new update for Android users, the instant crash bug has been fixed but performance problems are still being experienced. Game still can’t be downloaded by some users despite the fact it runs on those devices fine. 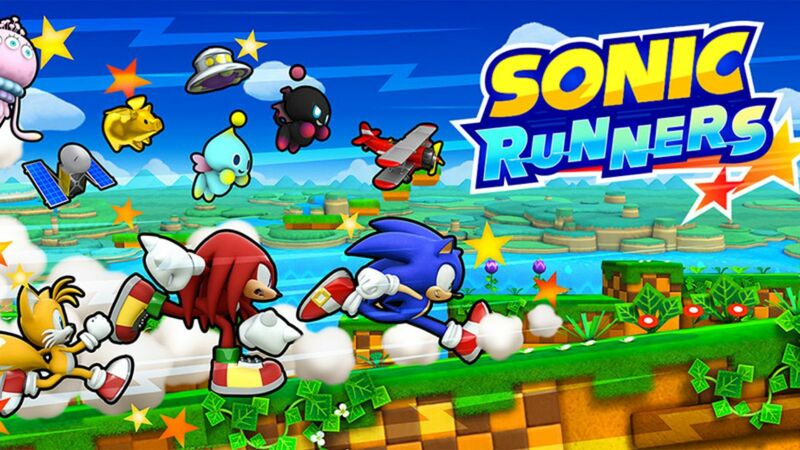 Sonic Runners, Sonic Team’s first mobile Sonic game, will finally be debuting worldwide on June 25. Just in time for Sonic’s 24th birthday! 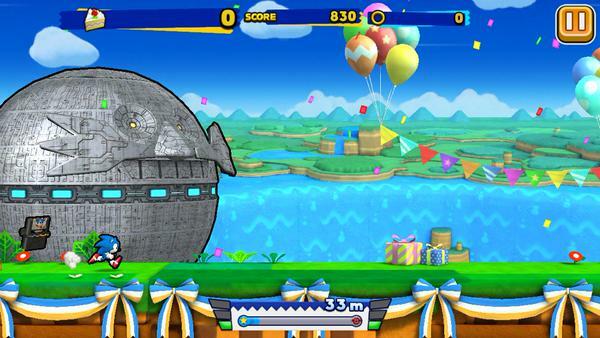 This was revealed minutes ago on the official Sonic Runners twitter account. The tweet promises more details in the coming days. 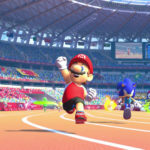 Sonic fans have been waiting for a worldwide release of the game since its limited release in Canada and Japan back in February. 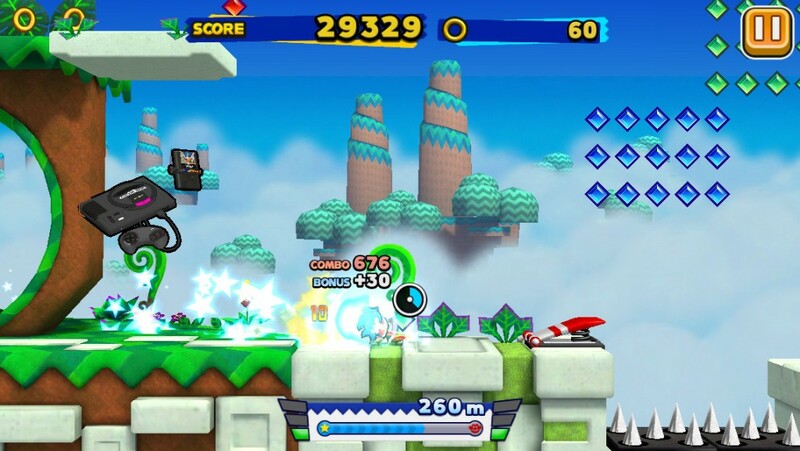 Sonic Runners, as the name suggests, is a free-to-play endless running game, where the player tries to get as far as possible before dying. The game will be launching on both iOS and Android. 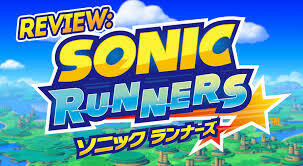 Mobile exclusive game Sonic Runners today released update 1.0.4 to the markets which the title is currently available in, bringing some noteworthy gameplay alterations to the experience. This update is particularly noteworthy as it alters several core gameplay mechanics – such as revive tokens, the goals for your daily challenges, and using the item roulette to win prizes on each login. Hit detection now covers the whole character while in the air. It’s much easier to defeat enemies now. 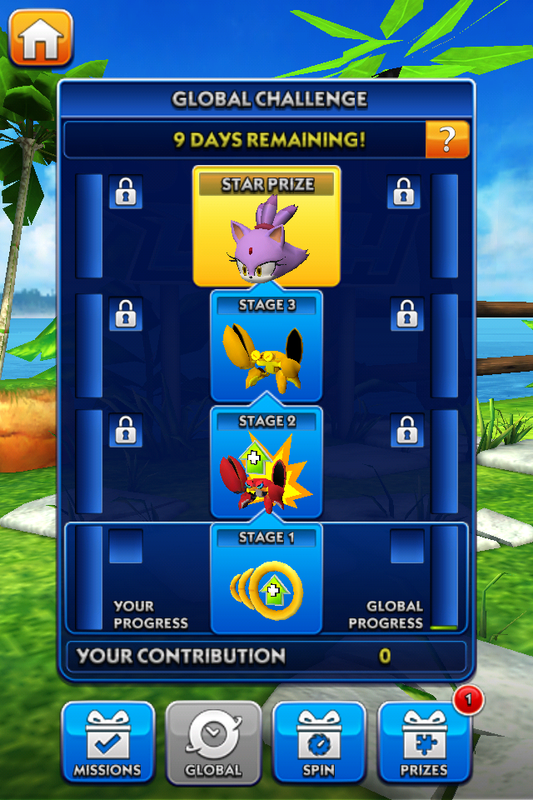 Goals and prizes have been improved to make them easier to get! Score bonuses have new animations making it easier to understand your score! Max Revive Tokens are set at 3 and now take 30 minutes to recharge. Roulette spins reduced to 1 time, but prize amounts have been increased! Items selected on previous run will be automatically selected on your next run. Recovery time shortened after taking damage. Camera zooms out during loops and when speeding up to make it easier to see what’s coming. These adjustments could be seen in various lights. For example, while now you only get one spin a day on the item roulette wheel, the prize numbers are far greater than before. The alterations to the revive mechanics seems to only push Runners in a much more freemium direction than before, encouraging users to pay for revive tokens or ask friends for refills. Also available to Runners users currently with this update is the log in campaign for fifty free revive tokens – simply open the game and you’ll be offered ten tokens a day for the next five days. 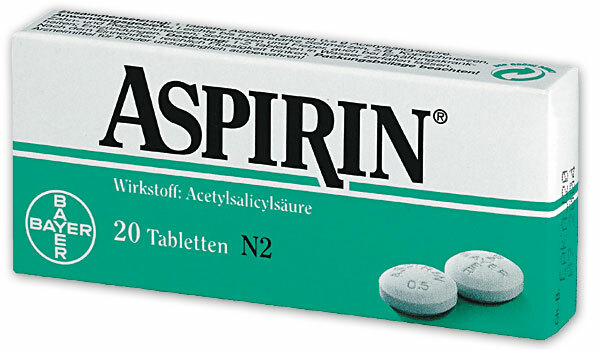 It should be enough to keep you running for a while! Let us know what you think of these adjustments in the comments below. Update: It’s also seemingly out now on iOS. 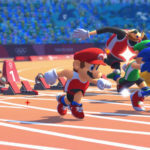 – Win the top of the “”S league”” to claim the supreme honor! [Facebook account] will keep you updated on the app! Some info may only be available on Facebook!! so we’re planning on increasing the amount of supported devices. 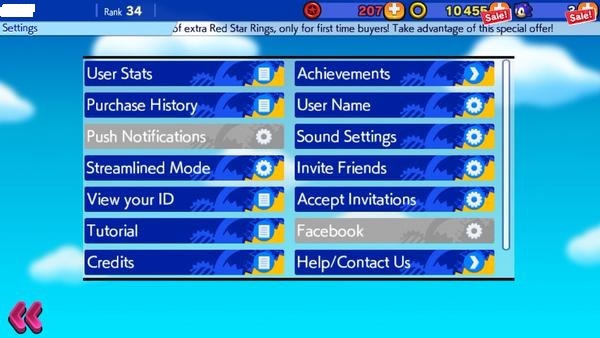 We apologize if you cannot download Sonic Runners on your current device. Please wait for further announcements. We’ll update you guys as more info comes! NEW UPDATE: English translation of the trailer at the bottom of this post. UPDATE: More new info can be found on the official English site here. 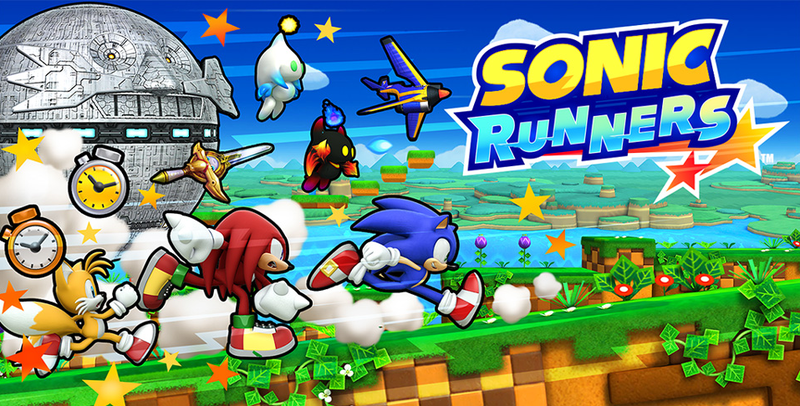 Sega Networks has released the first Sonic Runners trailer with actual footage from the game! The game looks like a fun mesh of the autorun of Cabalt mixed with the high speed and item collecting of Jetpack Joyride. 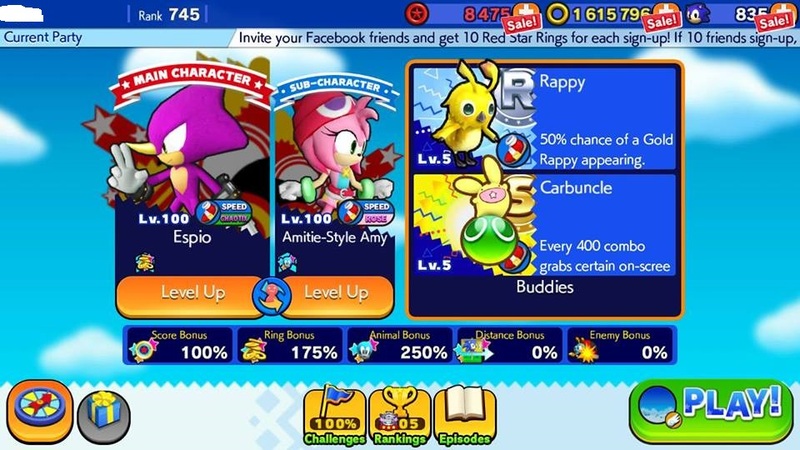 We can already see some unlockable characters that will be released including Rouge, Shadow, Amy and the Chaotix. Also, shown are some of the items that can be purchased and used in game. 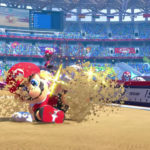 The game is still targeted for spring in Japan, but no release date news for the West or Europe just yet. However, at one point in the video, you can hear Roger Craig Smith yell “Sonic Record!” so it’s all but guaranteed to show up here sometime this year. Thanks to Chad in the comments section, here’s a translation of the trailer. THIS sonic is appearing on smartphone! 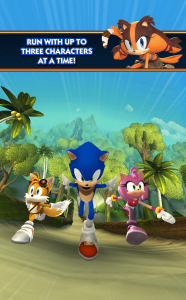 Sonic with his friends, is running through on smartphone! Adding thrilling new characters in the future! Break through levels using your favorite character! Let the exhilaration become a habit! 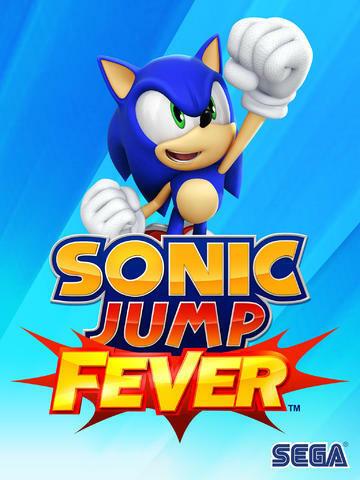 Sonic Jump Fever Out On iOS And Android Today! Jump back into the fray with your favourite hero…Tails? There is one thing that should be noted about this release, though. 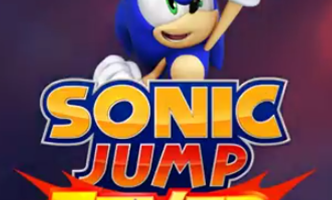 Many people who have already bought the game are reporting that you do not, in fact, start off Sonic Jump with Sonic. 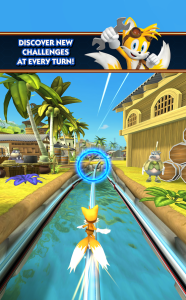 Instead, Tails is who starts the adventure off the bat, while Sonic himself is an unlockable character! What a strange twist in conventions! 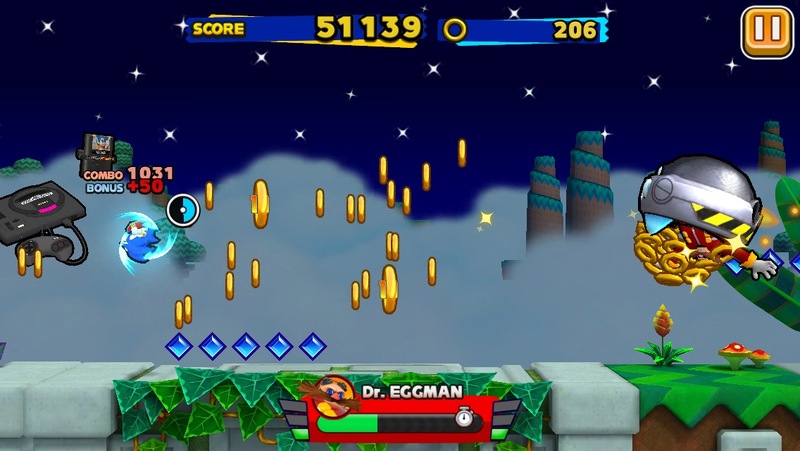 Sonic Jump Fever is free to download, although like many F2P games there are microtransactions within the game itself. Well… umm… this is weird. 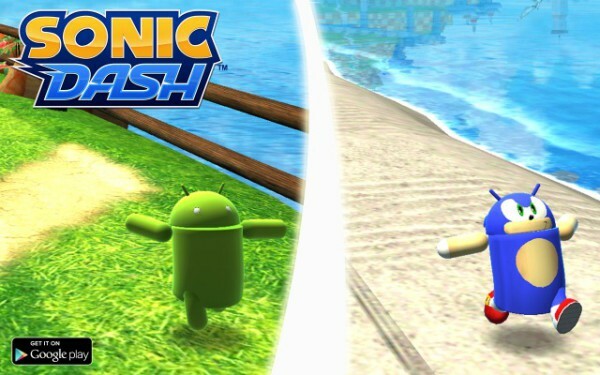 In a new update that absolutely nobody could see coming, the Android version of mobile endless runner Sonic Dash now features two additional characters – the Android robot and (yes, you’re really hearing this right) Andronic the Droid Hog. 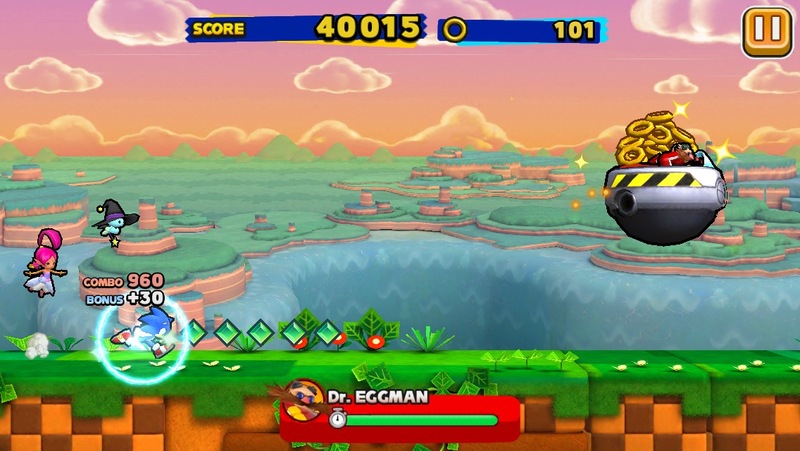 The Android robot comes free as part of the new update, but if you play as him 50 times, you’ll unlock the Sonic themed reskin that will undoubtedly become the subject of many future fan-fictions, as with the Tails Doll and the Sonic Omochao before him. I can’t decide whether it’s meant to be adorably stupid or utterly terrifying. Understandably, this is exclusive to Google Play, with no equivalent iOS update detailed at the present time. Perhaps this is a strange way of paying back all the Android customers who were left anxiously waiting for Sonic Dash to hit their mobile device of choice while Apple users were speeding away months in advance. Here’s a video of Andronic in action (no sound though, unfortunately). Marvel at how silly he looks, flailing his arms around like a madman! 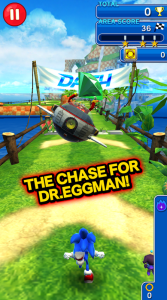 What do you make of this new Sonic Dash update? Will you play as Andronic the Droid Hog? Looks like Sonic Boom won’t be the only game starring everyone’s favourite blue blur at E3 this year! 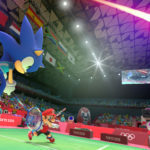 Just revealed via an announcement trailer on SEGA Europe’s YouTube channel, Sonic Jump Fever – a sequel to the original Sonic Jump mobile game – will be bouncing its way onto iOS and Android devices at some point in the near future. Little else is known about the game’s release outside Canada beyond that shown off in the trailer, but be sure to stay tuned to TSS for any further updates on the game – and in the meantime, let us know your thoughts on this announcement in the comments! Sorry, Peppy Hare took a wrong turn at albuquerue and couldn’t be here today. Yep, the Sega and Sonic the Hedgehog twitter accounts just announced the Android version of the game is now free to download, note that it’s a big file, it’s 789MB (on Android at least)! 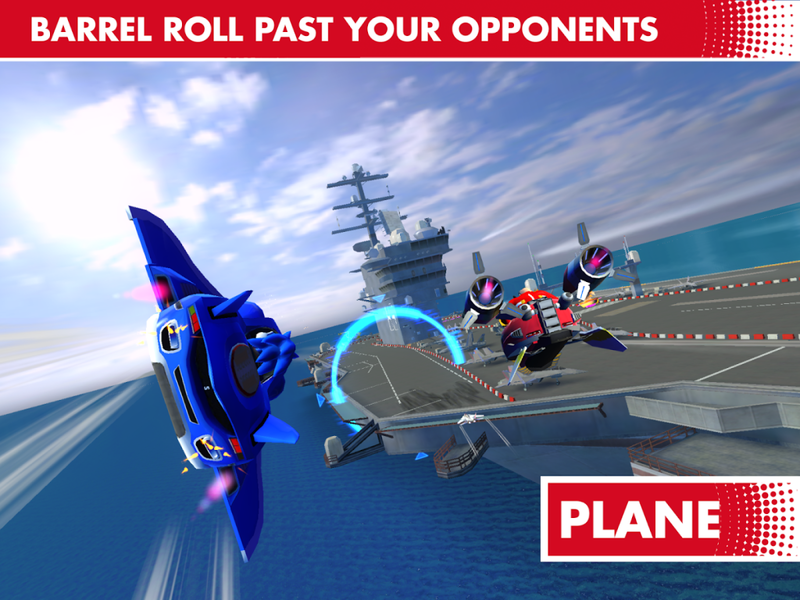 Download the game on iOS via the App Store here and on Android via Google Play here! Talk about a bolt from the blue! Completely out of nowhere, a brand new version of Sonic Dash, curiously titled Sonic Dash S, has hit iOS and Android devices in Japan. While it doesn’t appear to differ too heavily from the current edition of the game available elsewhere across the globe, this iteration does bring with it some new features and refinements. 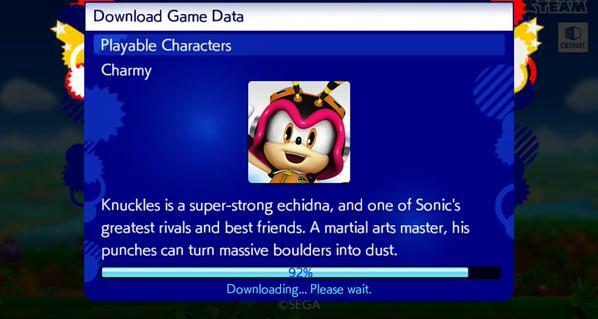 First up, Sonic Dash S actually seems to have some sort of plot to it. 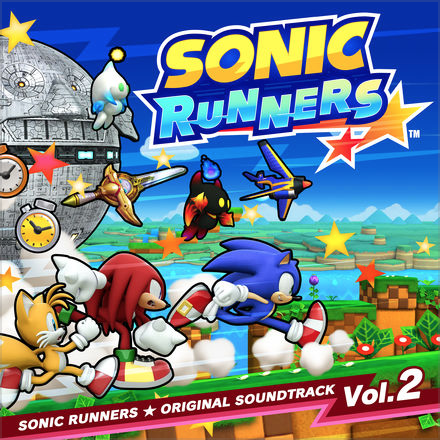 No longer is Sonic just aimlessly running for the sake of running – now he’s on a high speed chase to stop Dr. Eggman, who has once again made off with the elusive Master Emerald (Knuckles just can’t catch a break, can he?). Sonic Dash S also sees the return of the Chao who, in a similar fashion to their appearance in Sonic Chronicles: The Dark Brotherhood, provide Sonic and his friends with special abilities to boost their skills. 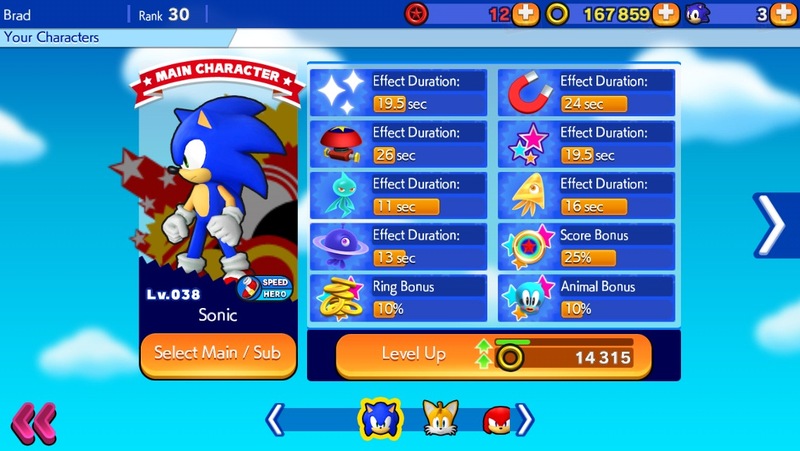 That’s not the only thing bumping up the blue blur’s stats in this version either – you can upgrade the characters themselves by acquiring bonuses and levelling up. Essentially, it sounds like the same Sonic Dash experience, but padded out with a few additional elements to spice things up. 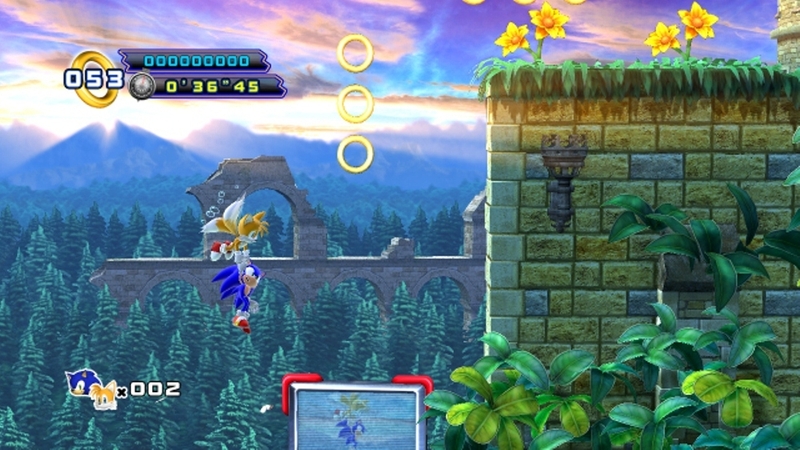 SSMB member SwiftWinds also notes that characters have their own special abilities when they reach a certain level – for instance, Tails can fly out of a pit, Knuckles can overcome bombs and spikes, Amy increases your banked ring count, and Shadow increases the rings you earn at the end of a run. 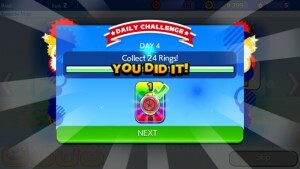 Additionally, characters can be unlocked using normal rings in Sonic Dash S rather than the red rings that are otherwise required in the standard version of Sonic Dash. There is no word yet on whether Sonic Dash S will hit any other regions, be it as a brand new download or as an update to the existing game – but stay tuned to TSS and we’ll keep you in the loop! Thanks to SSMB member Woun for bringing it to our attention in the first place. 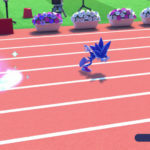 What are your first thoughts on Sonic Dash S? Let us know in the comments! 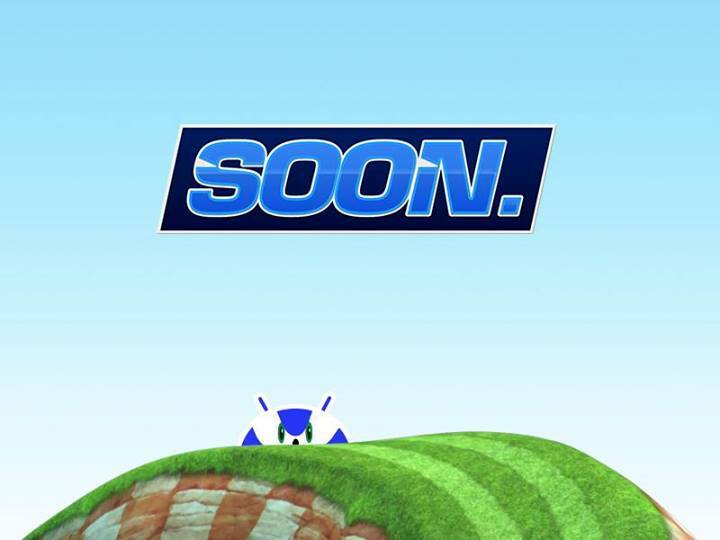 The SEGA and Sonic the Hedgehog Facebook pages have just posted this image, but what could it mean? Hit the jump to find out! Zazz Joins The Brawl… er… Dash! 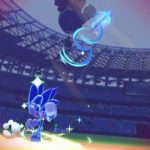 In a surprising new update to coincide with the release of Sonic Lost World, you can now fight Zazz from the Deadly Six in a brand new boss battle in the mobile-exclusive Sonic Dash. As can be seen in the trailer above, you’ll be facing off with the crazed Zeti atop his Moon Mech, dodging his star attacks until you get the chance to show him who’s boss and homing attack him into oblivion. It appears you’ll encounter Zazz at random as opposed to a set place in any of the stages. The new update also includes a Deadly Six Card Collection Challenge where players from all around the world have to collect a set number of cards that can be found throughout the stages – once a certain total is reached, participants will receive some Lost World themed prizes! 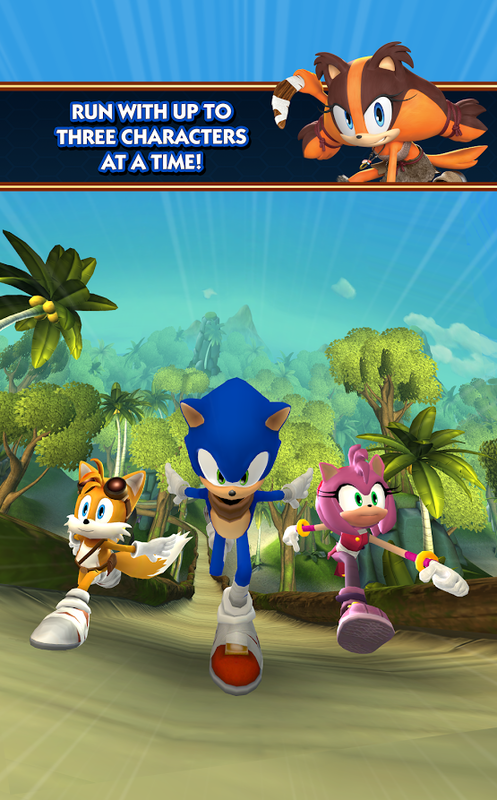 You can download the Sonic Dash update now for a limited time only on the iOS. There is still no news on the game arriving on Android devices, though you can be sure we’ll let you know as soon as anything is announced. What do you think about Zazz making an appearance in Sonic Dash? Would you like to see some of the other Deadly Six show up at a later date too? Let us know in the comments! Update: Sega have issued a press release which confirms both games are also coming to Android devices! You might remember how Sonic 1 recently got remastered?’ It was dubbed the ‘stealth-tax’ version of the game, contained tons of improvements and was generally dubbed ‘awesome’ by all? Well along with this came the promise that Sonic 2 would also recieve a remastered release. That time is coming very soon. According to touch arcade. 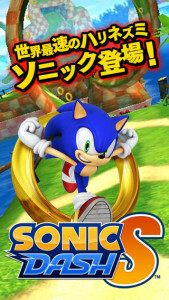 Sonic the Hedgehog 2 will get it’s ‘remastered update’ on iOs before the end of the year. 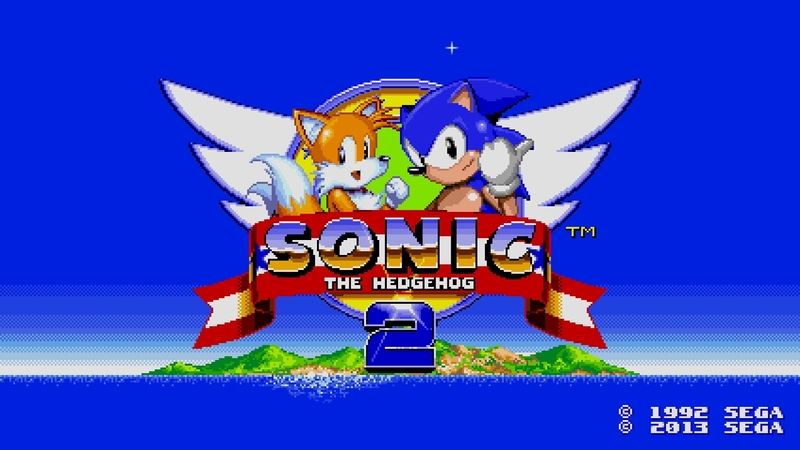 As with Sonic 1, Sonic 2 will recieve improved framerates, visuals and audio enhancements. Dare we also suggest hidden extras and secrets? With the original Sonic game, the update was given away for free, thats likely to be the case with this one, however a price point of $2.99 has been given for first time purchasers. In addition to this. 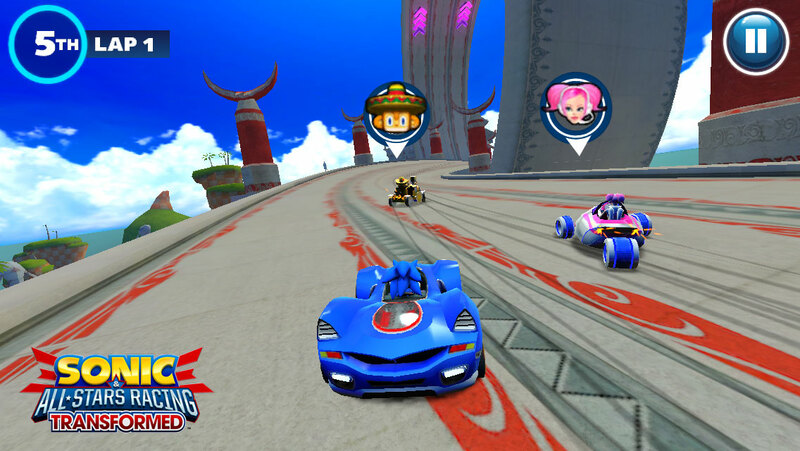 Sonic & All Stars Racing Transformed has also been announced for IOS devices. 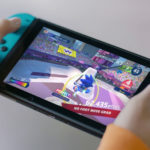 It’s described as a pared down version of the console game, but it will include a new World Tour mode and support 4 player local and online multiplayer. ASRT is due for release this December. 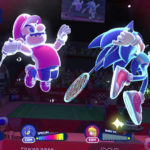 Following the success of the previous Sonic Dash Global Challenge, a new challenge has been issued by SEGA and Hardlight Studios, this time with the fiery princess of the Sol Dimension up for grabs! The 2nd Global Challenge will allow players to unlock Blaze the Cat as a playable character upon beating personal records, and, just like the last challenge, cannot be accomplished alone! Your progress, filling up the left gauge, will be tallied along with fellow players around the world to reach the combined target, filling up the right gauge! 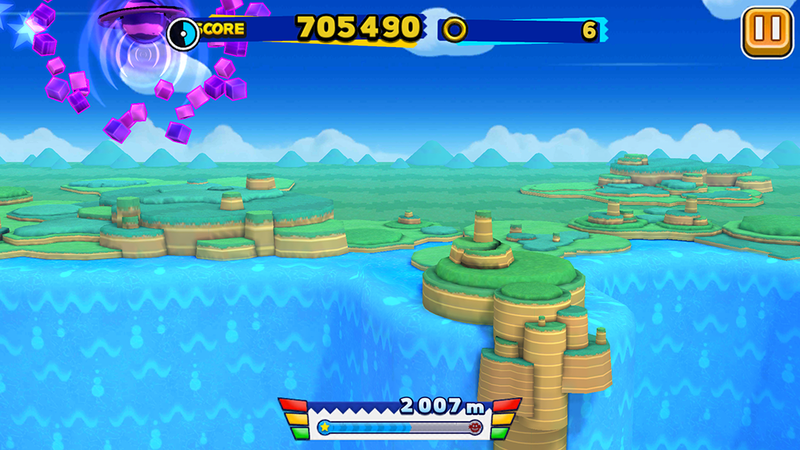 With four stages to complete, should both personal and global targets be reached, Blaze will be free to blaze through the endless Seaside Hill as much as she pleases! Here’s the catch: we’ve gotta rush for this one since we only have 9 days. Challenge ends on October 6th, so let’s get to work! 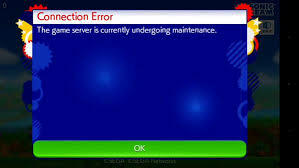 Be warned that, due to the recent release iOS 7, you may experience certain errors in-game if you hadn’t updated your Sonic Dash app since the past few days. The last update allows access to the latest Global Challenge, so if you’ve already accepted the challenge, you should be fine!